No problem is too complicated – see our most recent projects! Our Solution: After examining the entire door and the opener, we discovered that the issue lied with the safety sensors. After realigning their position we tried closing the door and it complied without hesitation. 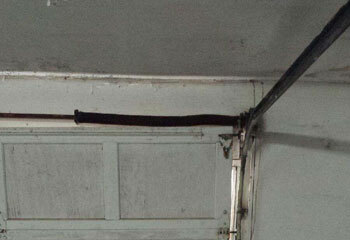 Our Solution: A routine inspection lead this customer to discover that his springs were in bad shape. We removed both and installed new galvanized extension springs in their place. The new components will be able to better resist rust in the future. Customer Issue: The client’s safety reversing sensors were out of alignment. 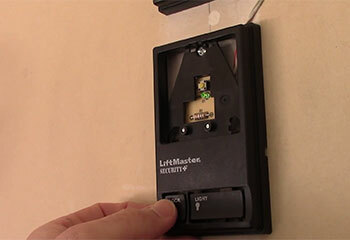 Our Solution: We removed the receiving sensor from the bracket and pointed it away from the sending sensor. After waiting 10 seconds, we rotated the receiving sensor until it was properly aligned with the sending sensor. We then put it back in its bracket. 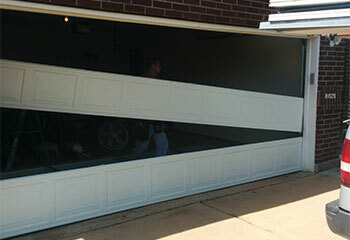 Customer Issue: The client’s door couldn’t operate properly as it had come off its track. Our Solution: We separated the opener from the door, and then separated the track. We guided the wheels back onto the track and hammered them in securely. We then tested the door to make sure that it could open and close all the way. 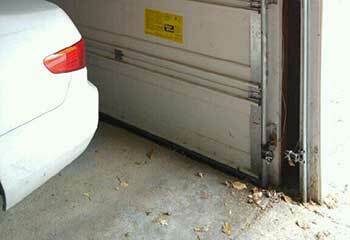 Customer Issue: The client’s garage door wouldn’t completely close. Our Solution: We adjusted the close limit switch and tested the door to make sure that it worked. 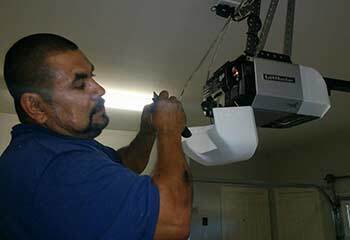 Our technicians are well trained, extremely knowledgeable and highly professional. We use only the best materials, products and brand names. We pride ourselves on being efficient and prompt. Rest assured that we’re always dependable and consistent in providing excellent service.